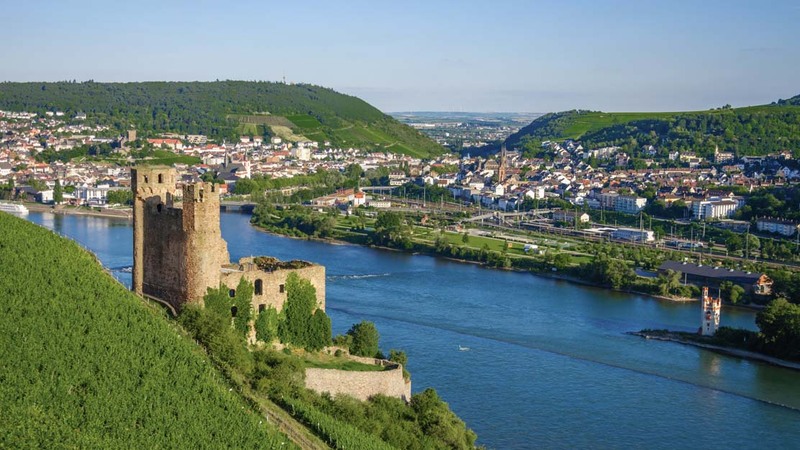 Located in the Rhine River gorge, Rüdesheim am Rhein is a picturesque German winemaking town, complete with narrow cobblestone alleys and timber-framed taverns. Here are the top 7 delights to discover for yourself. Visit the impressive monument of Niederwalddenkmal and commemorate the foundation of a united Germany. Afterwards, take a stroll of the Rhine river, which is just next to the hill that hosts Niederwald. Hike up to Ehrenfels Castle and take in the views from the top. The ruins date back to the thirteenth century. Eibingen was not always a part of Rüdesheim am Rhein. Today, it houses relics collected by Hildegaard. 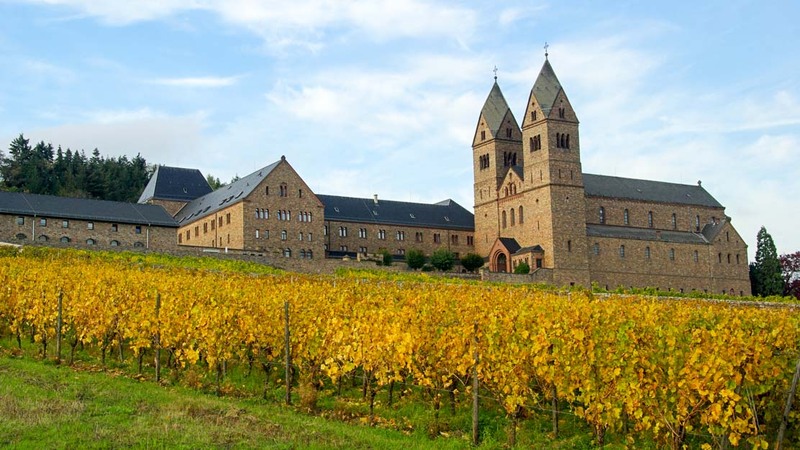 Run by nuns in Eibingen, you can visit the Abbey and stroll the beautiful grounds as you admire the 12th century home of Hildegard von Bingen. 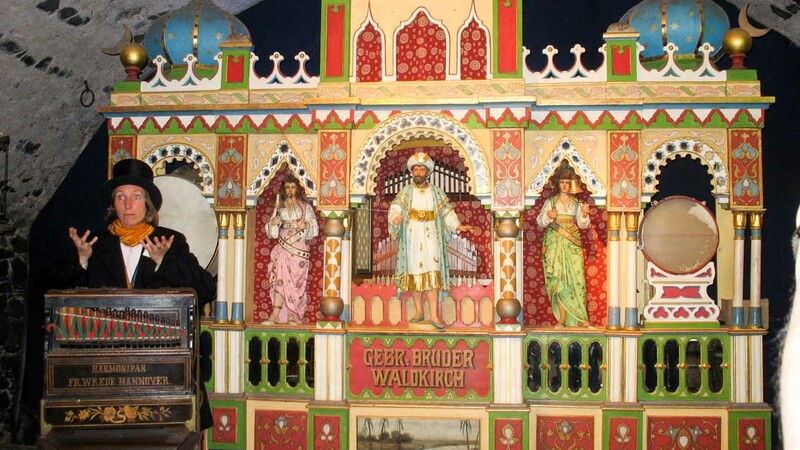 At Siegfried's Mechanisches Musikkabinett, musical instruments come to life all on their own... well, thanks to a little tech help. After you've serenaded yourself, roam the charming narrow streets of the village and enjoy a glass of local wine. Drosselgasse is a popular and bustling locale. 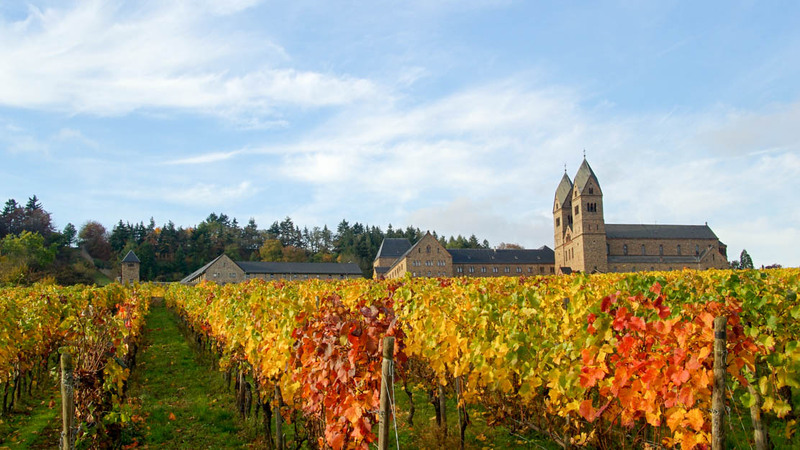 Take a seat and enjoy the region's wine as you people watch in this scenic German neighborhood. No visit to the Rhinelands would be complete without a little tour of its history. We recommend the wine museum, which gets to the good stuff right away. 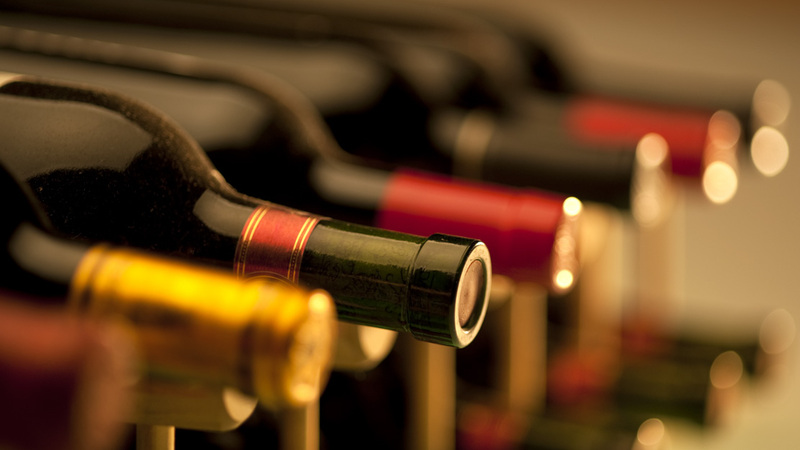 Learn about the region's wines! In early summertime, Rüdesheim am Rhein hosts a wine festival. Part of the festival includes a coronation of the wine Queen and her princesses. The spectacle is a part of local history and is best enjoyed with a glass of Rüdesheimer Riesling in hand. Walk around to take in the historic sights and lush scenery. Alternatively, there are city trains that will make any commute quicker. Taxis available for hire can also serve your transportation needs while you stay in Rüdesheim am Rhein. Lastly, the most luxurious way to see the city has to be a boat cruise. 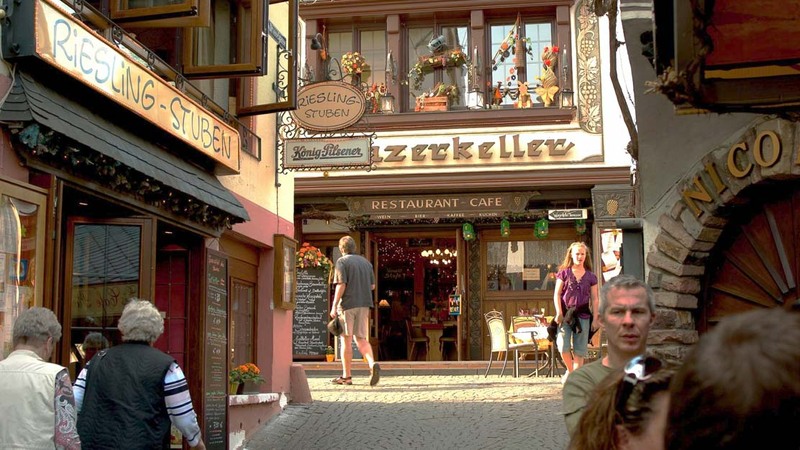 The best time to visit Rüdesheim am Rhein is the summer time. You'll be able to enjoy long days of sunshine along the Rhine river. The winters can be quite icy, and sipping Riesling is much more fun in the sun! Late May to early September are the warmest months in the year. 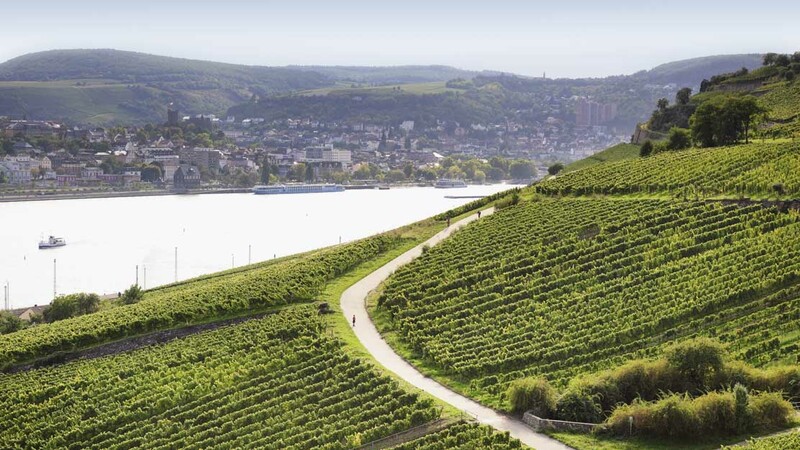 Want to discover all there is to do in Rüdesheim am Rhein? Click here for a full list. A budget friendly amazing way to see the beauty of the middle Rhine! Enjoyed this leisurly curise from Rudensheim to Koblenz which took approx. 4 hours. Castles, churches and quaint villages on either side with some information provided along the way. Food and drink can be purchased on board and lots of seating inside and out! Really enjoyed this way to travel! Great value. Sailed up and down the Rhine. Instead of getting off, you can just stay on the boat and enjoy the sights from a different perspective. Lovely relaxing cruise with excellent views, highly recommend. Very happy with KD Rhine Cruises. Boat was very clean, plenty of room, well set out & aOff on a welcome relief from the heat. The large viewing windows made it easy to see the spectacular views from anywhere inside. This is a must do, great value & fabulous way to spend an afternoon. Before the trip a change to the date was managed quite easily. Thank you for your quick and problem free service. Magnificent landskape and a wonderful experience.